WagoTrix Forceps prongs are designed to perfectly fit the WagoTrix Universal Ring in a secure and stable manner during ring placement. The locking slide and notches allow for secure use. 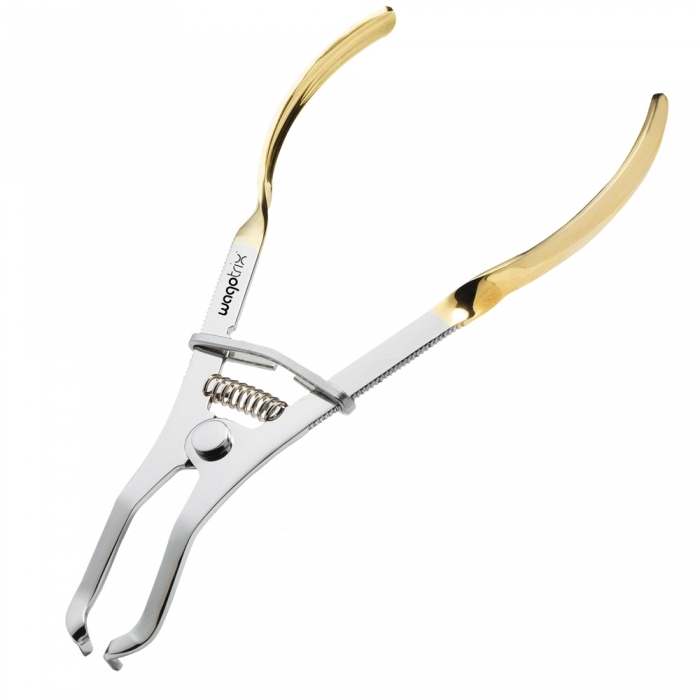 The forceps easily spread the rings with less hand fatigue - even when placing on larger molars. Made with our quality guarantee in the USA for a long useful life.